Leading mobile phone maker, Sony Ericsson, unveiled the much hyped smartphone, specially designed for playing video games via a TV commercial during the Super Bowl on Sunday. 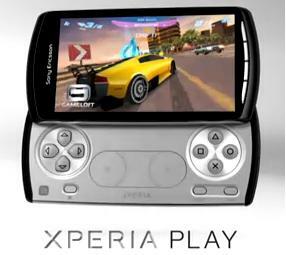 More rumored and tagged as the Sony Ericsson Playstation Phone, the TV commercial portrayed something else. According to the information displayed, the upcoming handset would be called Xperia Play, powered with Google’s Android Operating System. Even though the company gave a glimpse of the smartphone, according to the company’s official Facebook page, the company would unveil the new smartphone on Feb 13. The Xperia Play would be the first handset to meet the standard of Sony’s new PlayStation Certified distinction which include a set of specifications laid out by Sony to allow Android-based handsets to play older PlayStation games on mobile phones and tablet computers. Critics eye the launch of the smartphone as a threat to other portable devices which offer simple-to-play games. Other smartphones allow users to download and play games but with not the same control what this smartphone would offer.